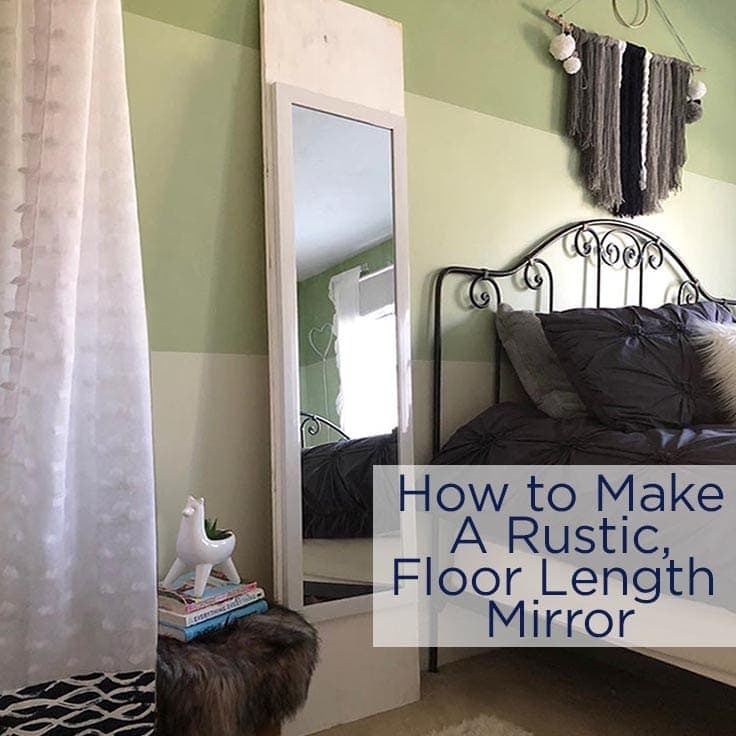 This rustic, floor length mirror is both pretty and useful. Learning how to make your own mirror is easy and is a nice alternative to buying one in a store. 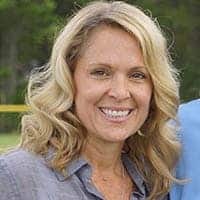 Hi Kenarry readers, it’s Lori from Greco Design Company. 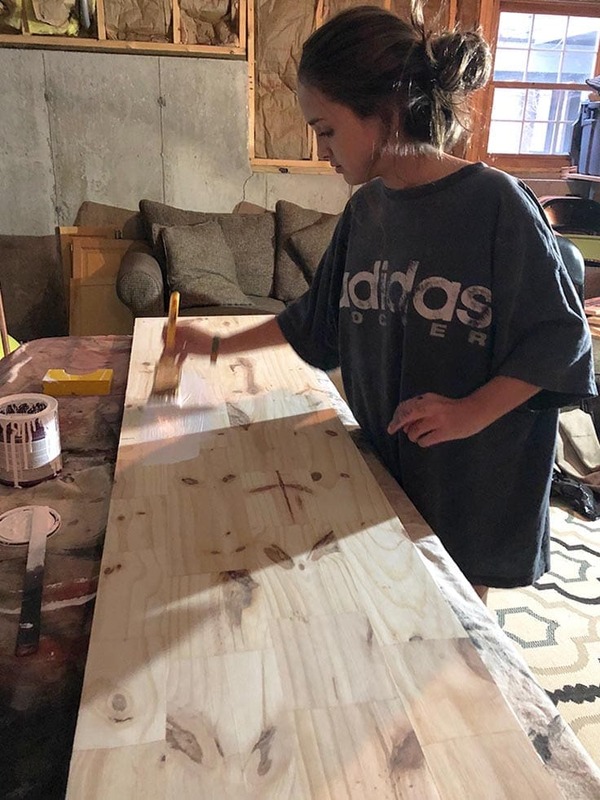 My daughter and I made this rustic, floor length mirror for her new room and it’s been both a pretty and useful addition to her space. And maybe it will inspire you to make your own. 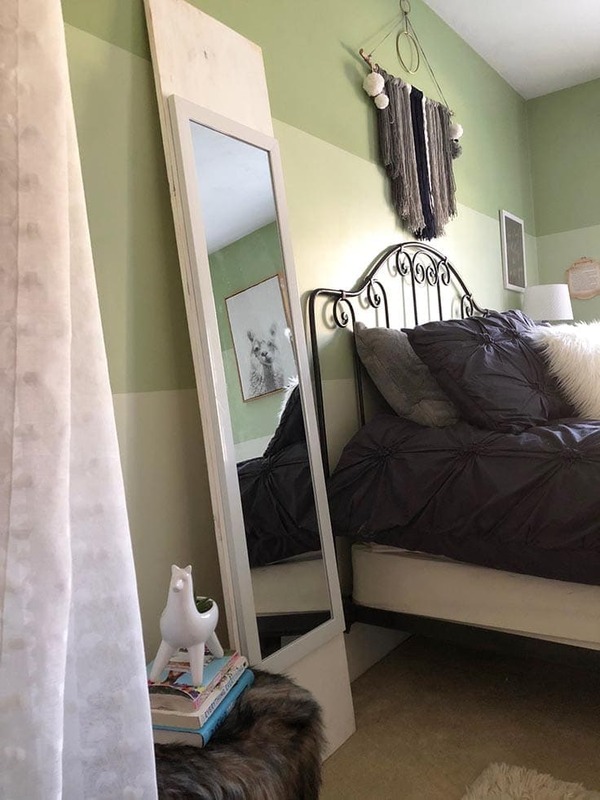 We’re in the process of redesigning my daughter’s room and she desperately wanted a floor length mirror. 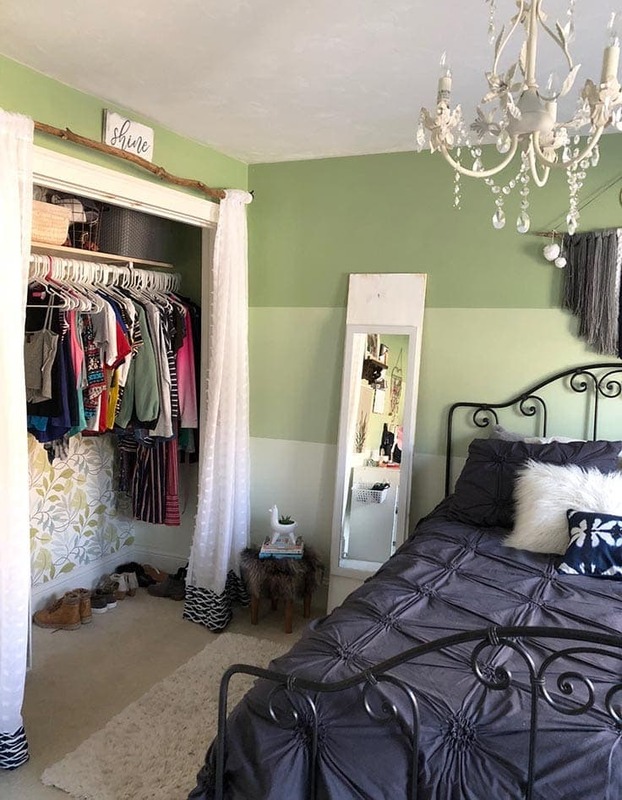 She already had a mirror that hung on the back of her door that I bought at Target a few years ago. 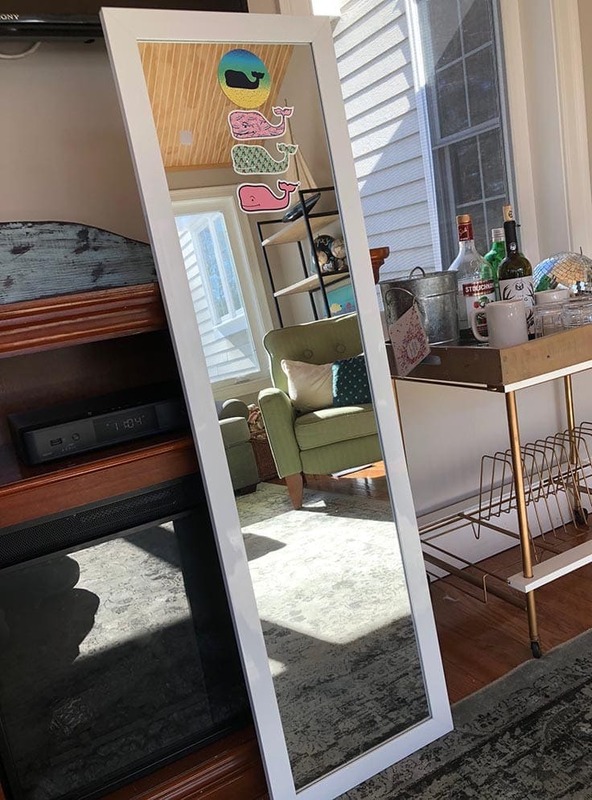 It was in good shape – besides the stickers she added – but she wanted more of a free-standing, floor length mirror that she could put in a better spot in her room. I shopped around but was shocked to find some very expensive options or ones that were just too big and unsuitable for her space. So I decided to use what we had to make our own, one-of-a-kind, rustic floor length mirror. 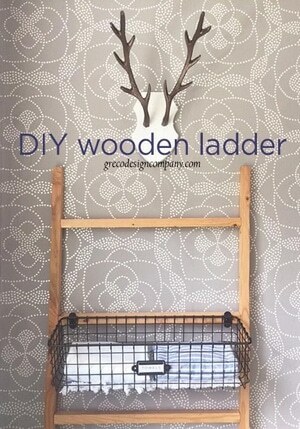 This project is so easy that my 13 year old daughter helped with almost every step. An inexpensive mirror that hangs on a door. I bought this one a few years ago. Common Pine Board. I used this one. Dimensions are: 3/4-in x 16-in x 6-ft.
1. Paint the wood board. 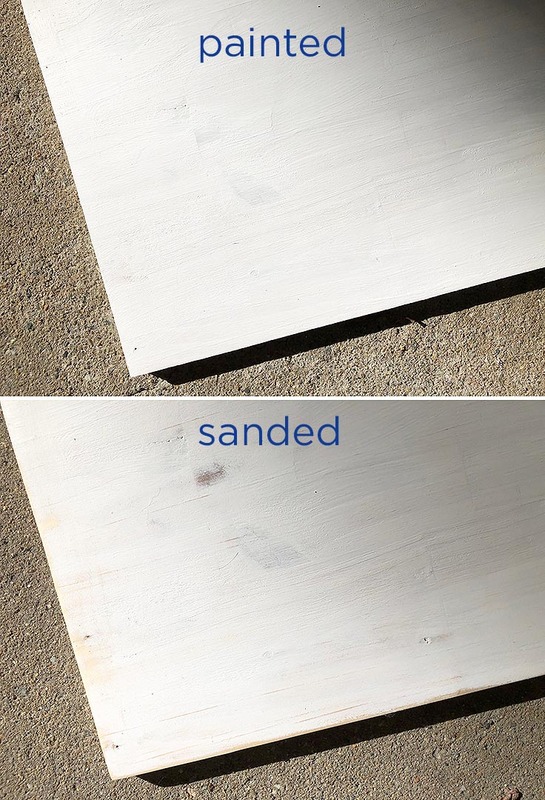 These strong and stable wood boards have a pre-sanded surface that’s smooth and easy to stain or paint. My daughter used two coats of paint and let the paint dry fully between each coat. Don’t forget to paint the sides of the board too. Note: the piece of board we used was almost 2′ longer than the mirror we had. We could have used a shorter piece but we liked the fact that there would be a lot of extra wood frame at the top and bottom of the mirror. My daughter wants to add some decorations or stickers at a later date. 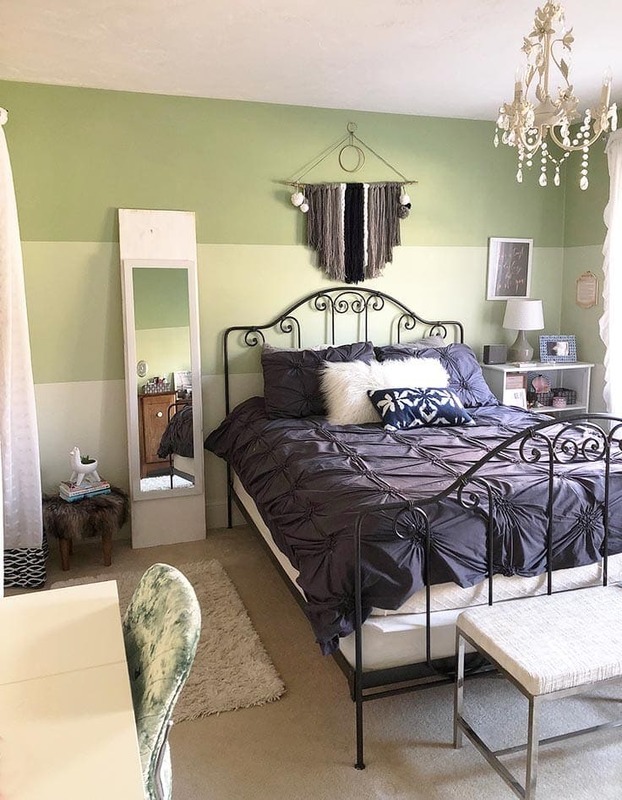 These boards come in a few different sizes so be sure to check what will work with your space and style before purchasing. 2. Sand the painted wood to look distressed. We used an electric sander which makes this step much easier and quicker but you can sand the wood by hand with a piece of 100 grit sandpaper. 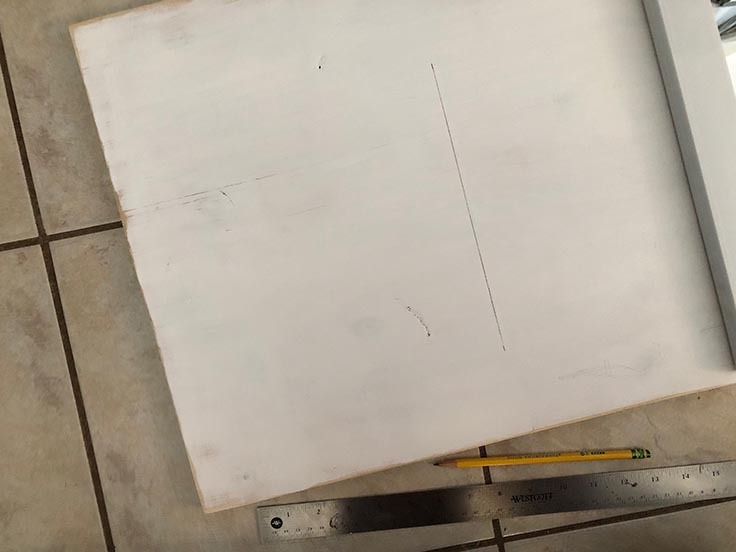 My tip for sanding painted wood to give it a distressed look is to sand more paint off the edges because over time, this is where most of the wear and tear would normally occur. I also sand a few random spots on the wood surface to add some interest and character. 3. Prep the wood and mirror. The current mirror had some stickers on it so I used Goo Gone Adhesive Remover to remove these. 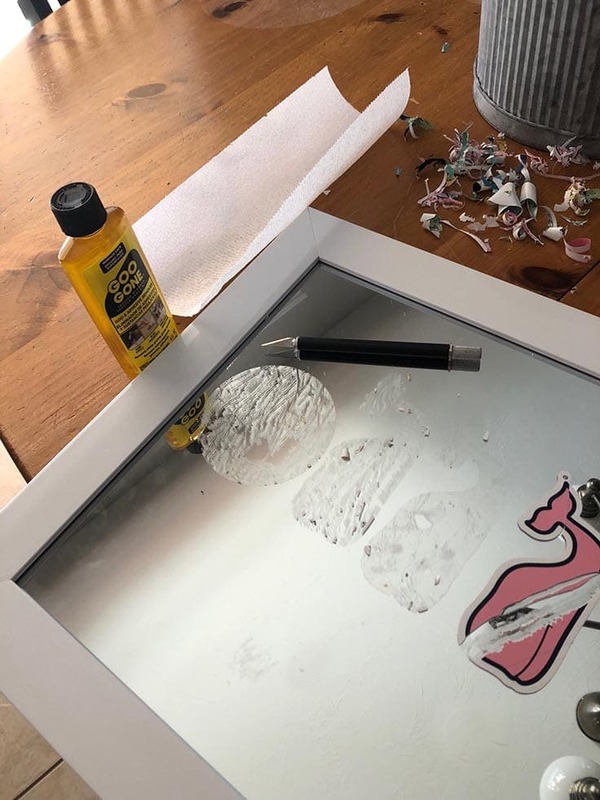 When removing stickers or labels it’s best to try and peel off the top layer of the sticker as best you can and then apply the Goo-Gone to the adhesive. When done, clean the mirror surface with a glass cleaner. 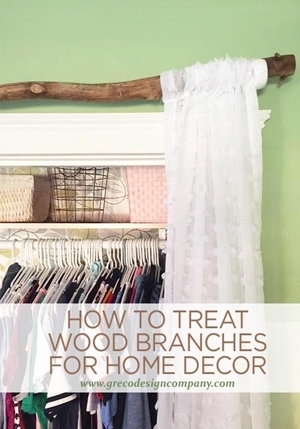 Next, use a damp towel and clean off any dust on the newly sanded wood piece. 4. Attach the mirror to the painted wood backing. We centered the mirror on the wood board and drew a line as a guide. 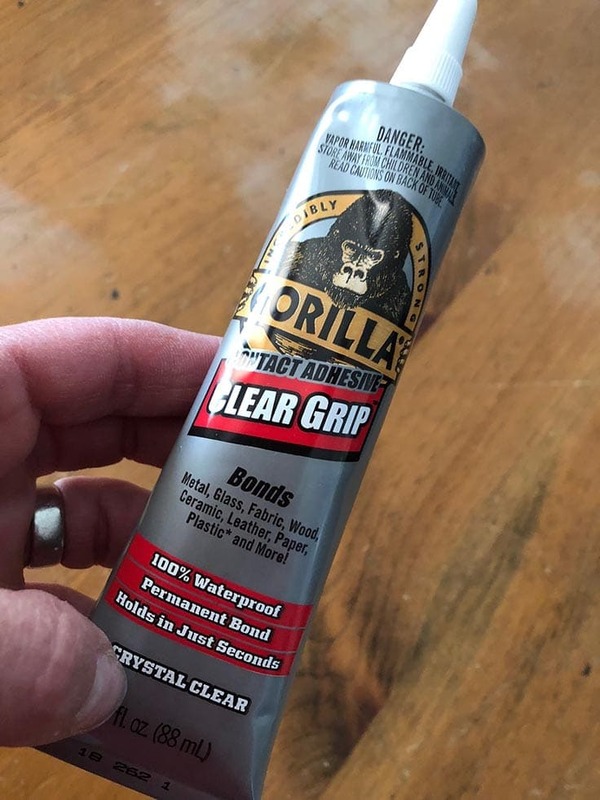 If necessary, remove any paper or cardboard backing from the door mirror and apply the Gorilla Glue to the back of the mirror. Then, place the glued mirror on the wood and allow the glue to dry. Place a few heavy items on top for extra weight and stability if needed. After the glue has dried, its ready to hang or, as my daughter prefers, lean it against a wall for displaying. 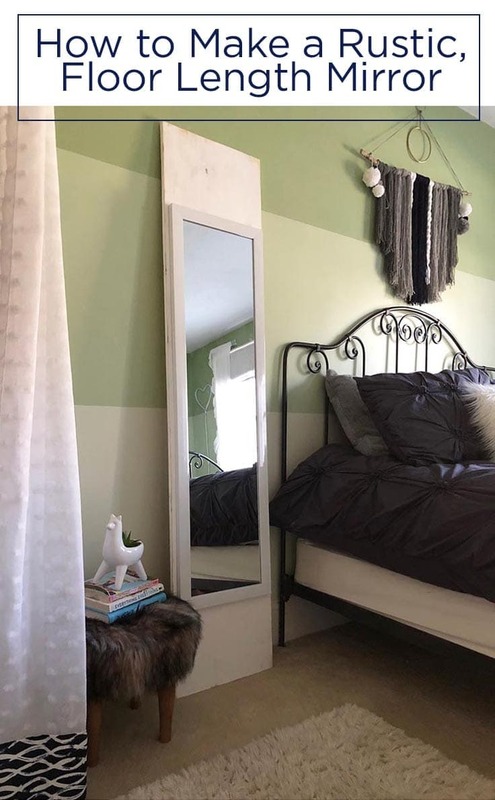 This mirror looks so pretty in her new room but I also love that we didn’t need to spend a lot of money on a new mirror. It’s one-of-a-kind and I think she’s proud of the fact that she helped make it. 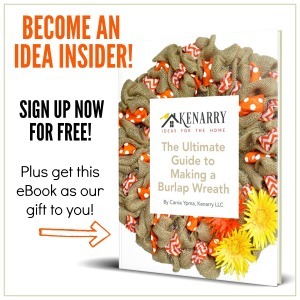 By the way, if you like that boho chic yarn wall hanging above my daughter’s bed, I shared the tutorial for how to make it several months ago on Kenarry. 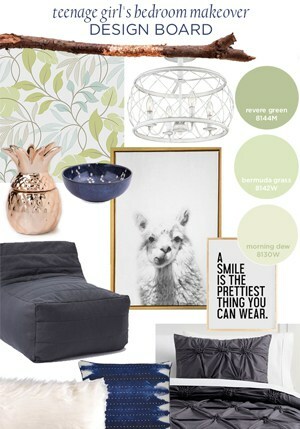 I hope you enjoyed this post, check out the links below for other related posts from Greco Design Company.